This weekend sees the return of Splice Festival, the UK’s only dedicated audiovisual performing arts festival, with a series of talks and performances lined up across the weekend from the likes of Mira Calix, Coldcut and DJ Food all locked in. The festival runs at Rich Mix and Kamio, both found in East London, and runs from May 26-28. For more information on all of the events lined up across the weekend, head here. You can also read a recent interview with Mira Calix, who will present a DJ/VJ set at the festival place the text you want as hyperlink here. In it, she discusses what she has planned for the performance while also discussing Josef Albers and synaesthesia. Keep reading below for a preview of some of the festival's expected highlights, including Coldcut, Filastine and more. The Ninja Tune founders and groundbreaking A/V pioneers return in their 30th anniversary year to headline Splice Festival with their brand new audiovisual show. 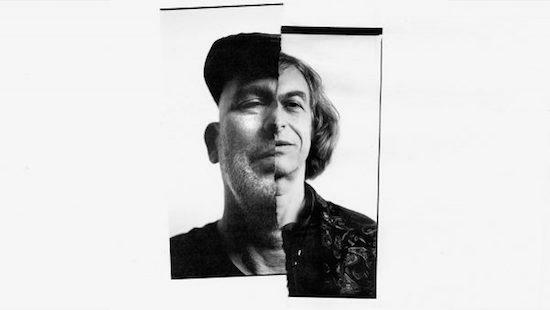 The set will come in the wake of their recent collaboration with Adrian Sherwood on new album Outside The Echo Chamber. Legendary turntablist, otherwise known as Strictly Kev, presents his Aphex Twin set - a selection of work by the Warp artist will be played complete with video accompaniments specially edited to fit DJ Food's track selections. Multimedia duo Filastine & Nova perform their new project 'Drapetomania'. It’s electronic and acoustic, pop and wildly experimental, from roots music to future bass the show is an audio strike against xenophobia, proposing a borderless and polyphonic world. British DJ and producer J:Kenzo is one of the leading lights in a new wave of artists on the pioneering dubstep label Tempa. He headlines a session called Extended Play which will run late in to Saturday night alongside politically charged visuals from Sagberg. An award-winning director best known for his visionary video work on The Chemical Brothers' live shows, Smith will host a special talk discussing his work, processes and production methods through a series of live demonstrations.